A drill is a piece of machinery used to bore holes in different materials. 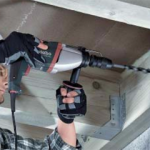 Drilling power tools are the most popular hand-held power tool in the world, and can be found in nearly every home and building site in the country. 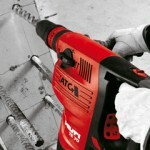 There are two different types of drilling power tools – corded and cordless. In this section we will be looking at corded drills. 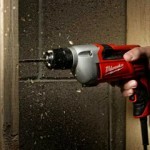 For information on cordless drills, click here. For larger drilling power tools, please refer to the Machinery section. 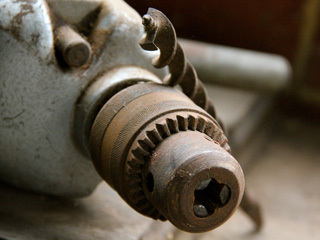 Shortly after the invention of the electric motor in the 19th century, the electric drill was invented. This creation was patented in 1889 by Arthur James Arnot, an employee of the Union Electric Company in Melbourne. In 1895, German engineer Wilhelm Fein invented the first portable electric drill, and 22 years later, Black and Decker patented a trigger-like switch on a pistol-grip handle. The drills manufactured today have continued to evolve from this original design. Today, drills are carefully engineered to suit the wants and needs of consumers, and with every manufacturer having a different interpretation of the market, there are many different types available. 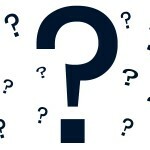 The following outlines the four main types of drilling power tools, the accessories to suit, and many frequently asked questions. Rotary drills are a perfect tool for light duty tasks and are designed for drilling small holes through wood, metal and plastics. They feature high speeds and light weight, but aren’t hugely powerful. High torque drills are capable of performing tasks such as mixing glues and plaster, and boring huge holes through wood and metal. They run at low speeds and are quite heavy, but exhibit lots of power. Hammer drills are incredibly versatile drilling power tools that are capable of performing many trying tasks including drilling into masonry. 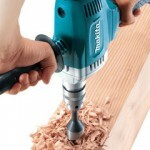 They come in a variety of sizes, are the most common type of electric drills. Rotary hammer drills are primarily designed for heavy-duty masonry work (but can be used on other materials too). This work can include boring huge holes into structural concrete, ripping up ceramic tiles, and even light demolition work. Any power tool is only as good as the accessories it uses. 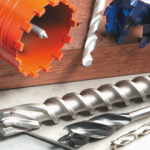 This section gives you a comprehensive insight into the available accessories for drilling power tools, including drill bits, hole saws, screwdriver bits and sanding and polishing accessories.